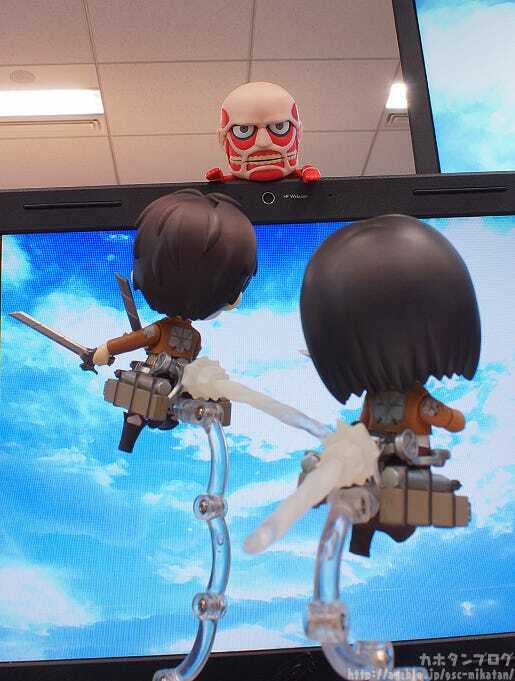 Yesterday was April Fools as well as the welcome ceremony for new employees… it ended up as a rather busy day! But today we’re back to normal! 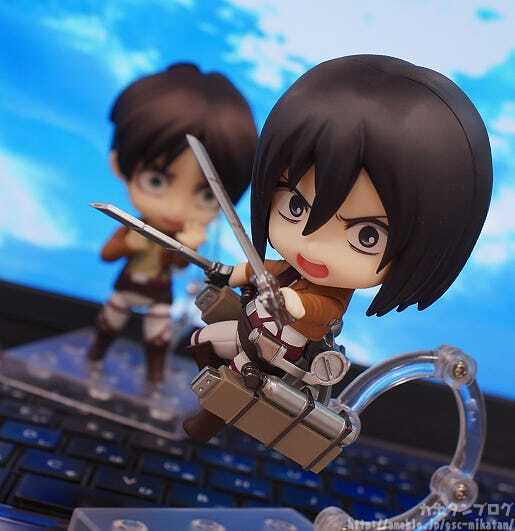 He is the third in the Attack on Titan series following on from the previously released Nendoroid Colossus Titan & Attack Playset and Nendoroid Mikasa Ackerman! 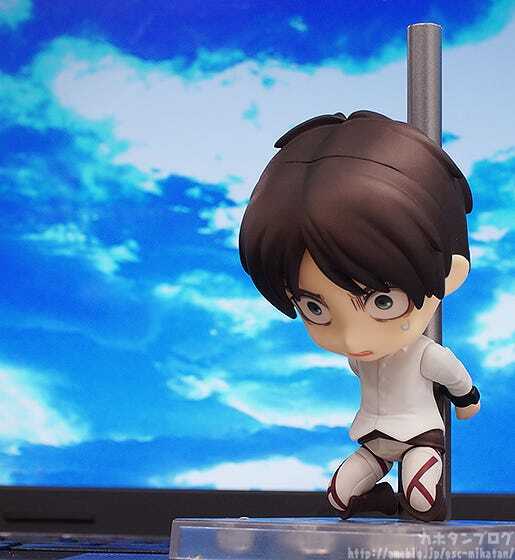 He comes with a number of bent arms and legs which I personally love to see! 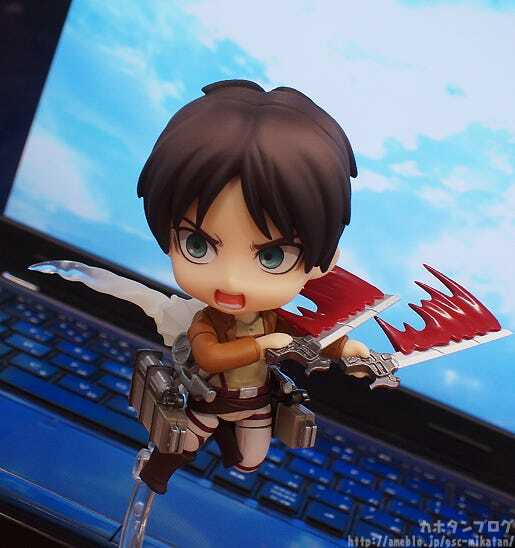 Not to mention just like Mikasa he comes with smoke effect parts to display him in dynamic combat scenes with the vertical maneuvering equipment! 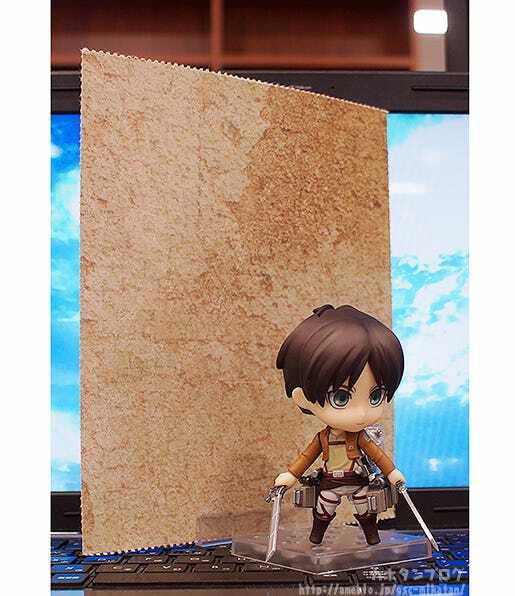 The inner cardboard of the Nendoroid’s box features perforated lines which allows you to get this rectangular piece for an awesome wall background! 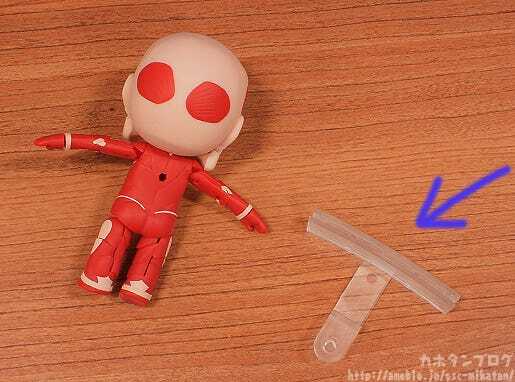 Another very important set of items… the questioning scene! A special body and the pillar are both included! 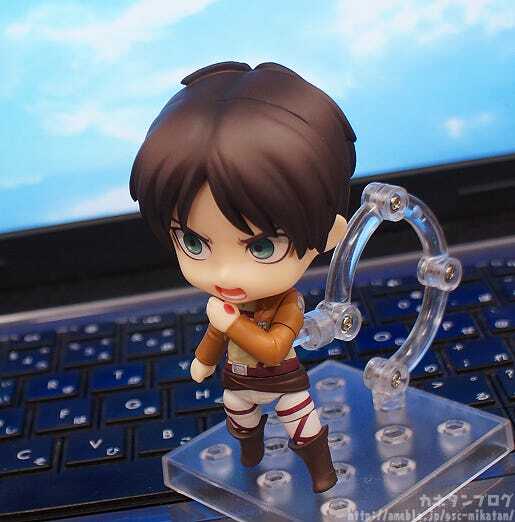 We just need Levi here now!! 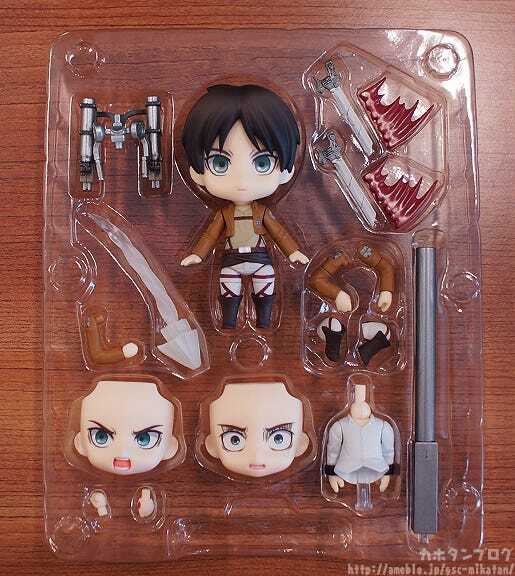 Note that the alternate body is only the middle body part! The lower body and legs are used with both bodies! 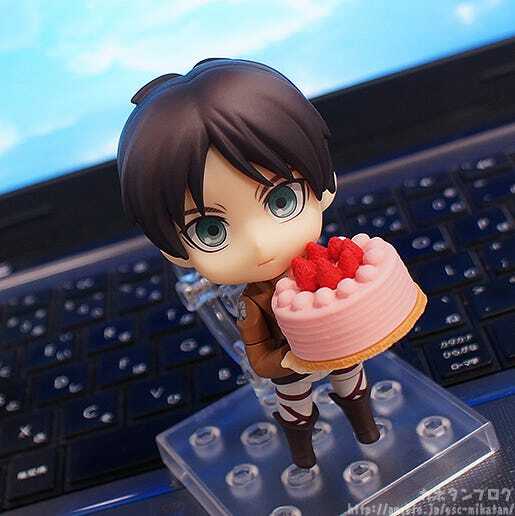 By the way… the 30th of March was Eren’s birthday! This cake is actually an eraser! 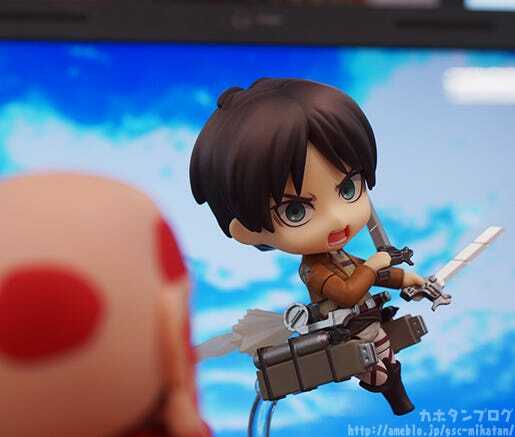 It just seemed the perfect size to display with a Nendoroid so I grabbed it! “You missed his birthday by four days!! How dare you!”. “Do I really look like I need to calm down?”. 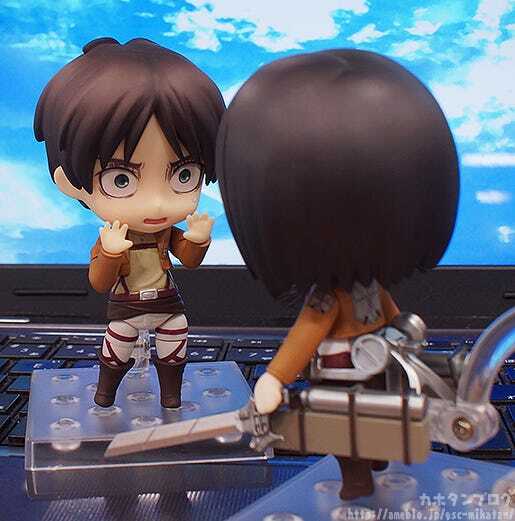 Eren quickly changes his mind. 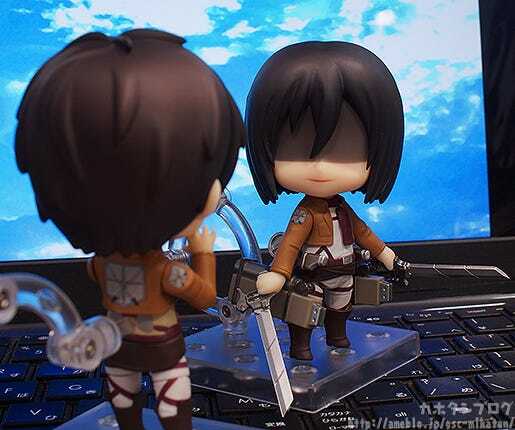 The more serious the real story is, the more I seem to enjoy making more silly things like this… ^^; By the way, the expression used for Mikasa is actually the Prafka-effect expression from Nendoroid Inia Sestina! 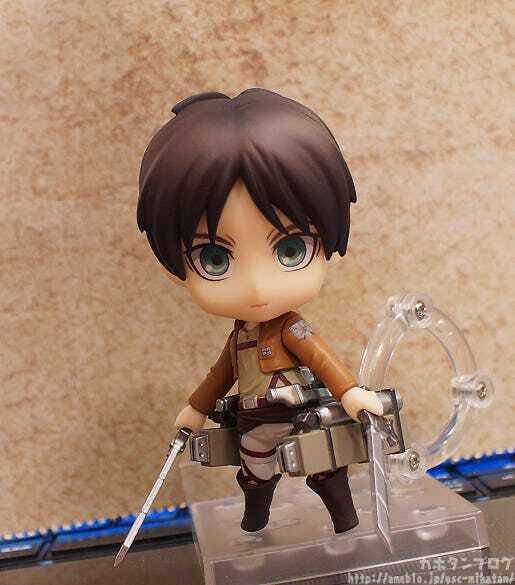 He’ll be shipping out from GSC on the 10th April 2014! 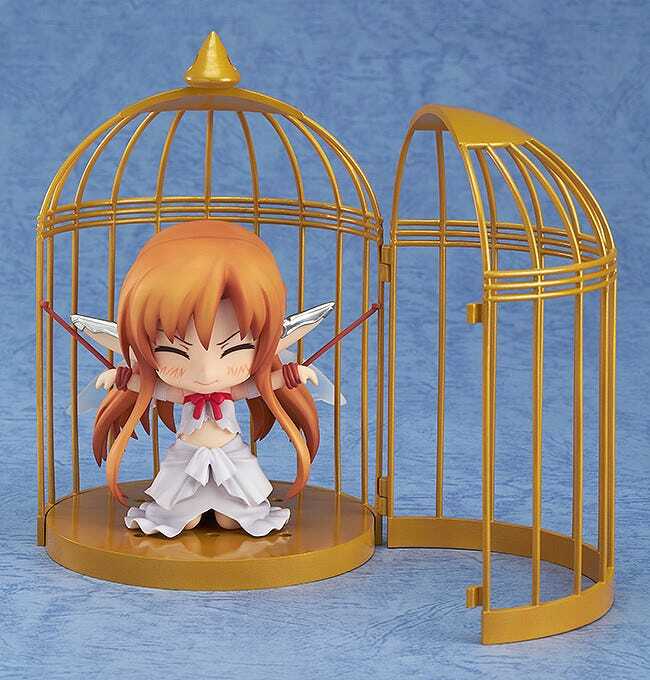 Don’t forget that the exclusive Nendoroid: Asuna: Titania Ver. 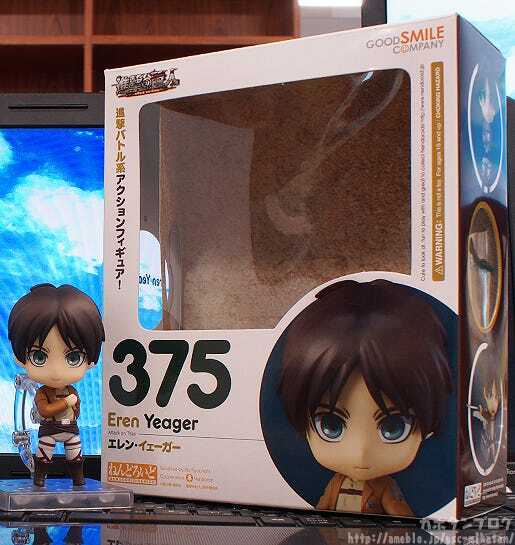 is also waiting to be rescued from the GOOD SMILE ONLINE SHOP! 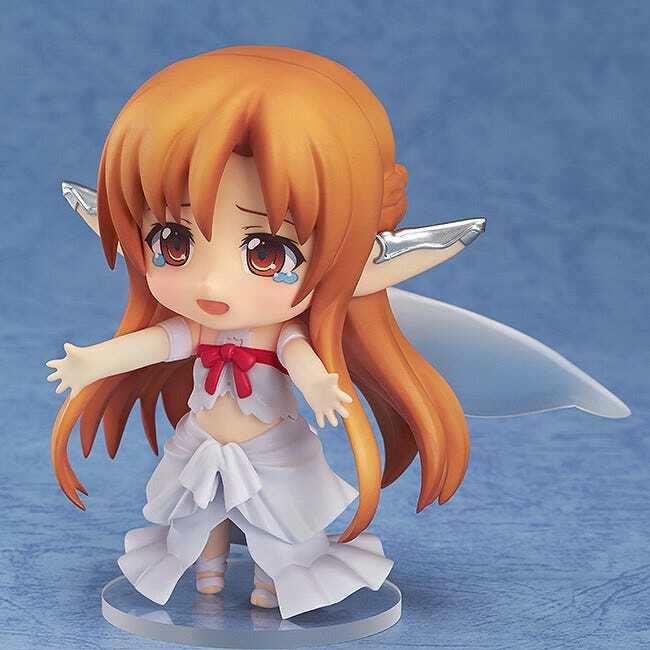 Orders for Asuna are open until the 14th April at 21:00JST! Don’t miss out on your chance to set her free!